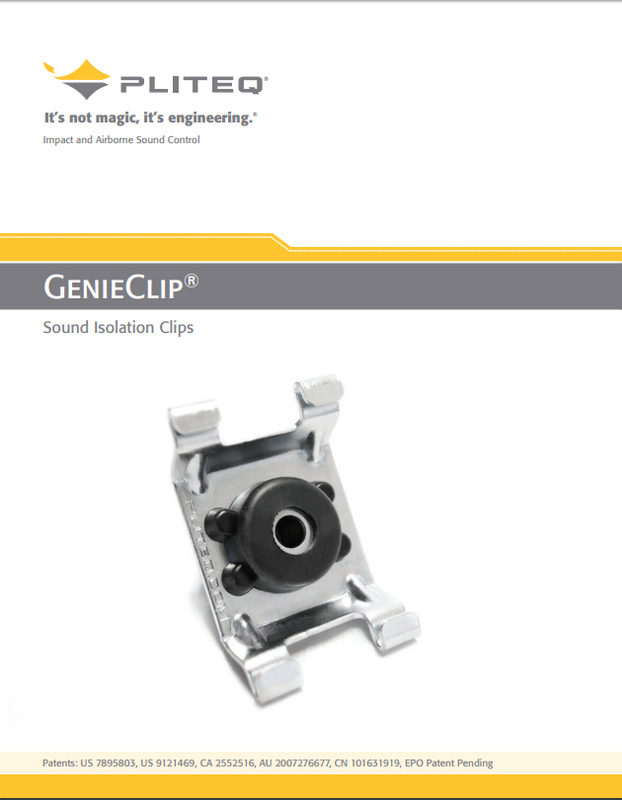 GenieClip RST (US 7,895,803, US 9,121,469, CA 2552516, AU 2007276677, CN 101631919, EPO Patent Pending) is manufactured by Pliteq Inc. and distributed by Marino\WARE®. 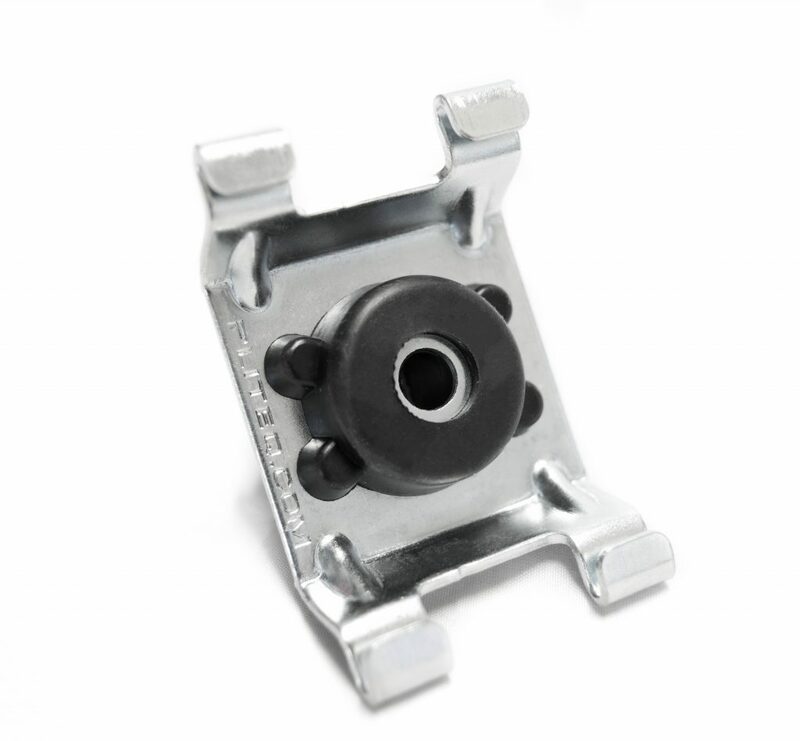 GenieClip RST is a unibody molded rubber and galvanized steel part used to attach drywall to either wall or floor/ceiling assemblies. Made from recycled components, and engineered to allow reduction in assembly weight, the GenieClip RST contributes to LEED® certified building. and the gypsum wallboard can be immediately installed.